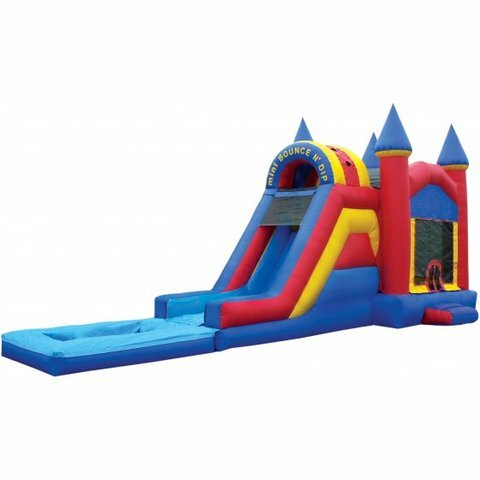 Our Mini Bounce N' Dip Castle has a thrilling waterslide. This unit has our exclusive Non-Slip material on the entrance ramp and jumping mattress. Hurry and rent today! This unit is a must have!